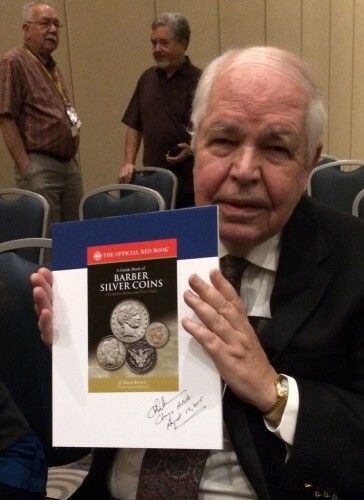 Whitman Publishing author and numismatic director Q. David Bowers at the Barber Coin Collectors Society meeting. BCCS past president Phil Carrigan (left) was presented with an award for more than 20 years of friendship and leadership of the group. Here, Dave Bowers congratulates Phil. Another hobby group that could use a few good Barbers is the Society of Bearded Numismatists. The SOBs held a rollicking romp at the World Mint Stage Wednesday afternoon. Everyone got one or more “bearded coins” from the 1800s or early 1900s as a free souvenir of the meeting. The presentations were entertaining — although they got a bit hairy with biographies of notable, famous, and infamous beards throughout history. Then the eminently bearded David T. Alexander gave fascinating sidebar commentary to a show-and-tell discussion of several Society of Medalists creations. The medals were from the American Numismatic Association archives. 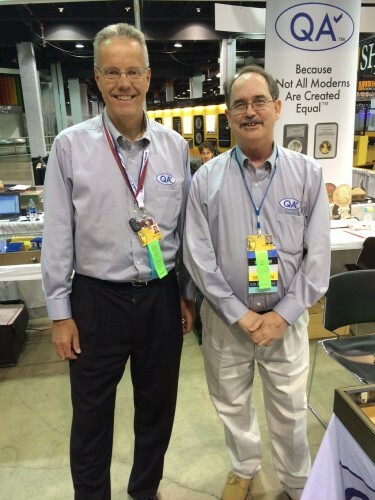 The Society of Bearded Numismatists meeting featured plenty of both. 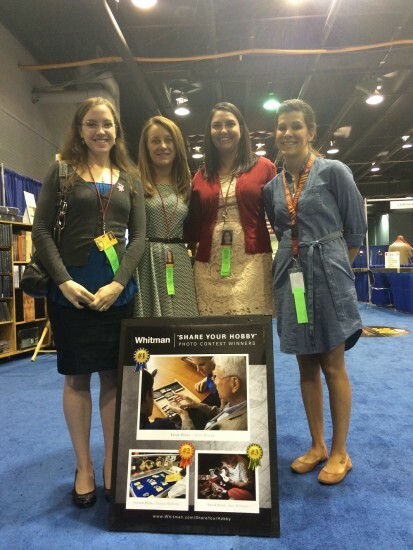 Caitlyn, Mary, Tabitha, and Michelle at the Whitman booth, with the first-, second-, and third-prize winning photographs from the Whitman Publishing “Share Your Hobby” Photo Contest. 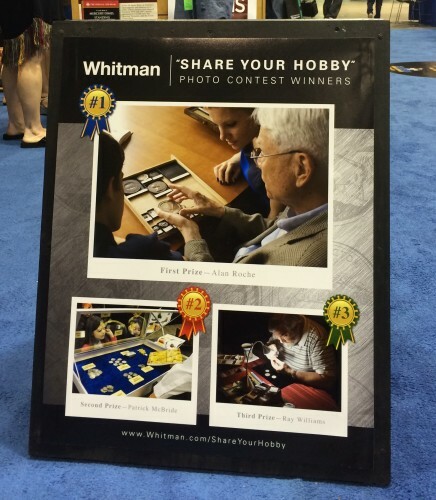 Congratulations to Alan Roche, Pat McBride, and Ray Williams on their winning entries! 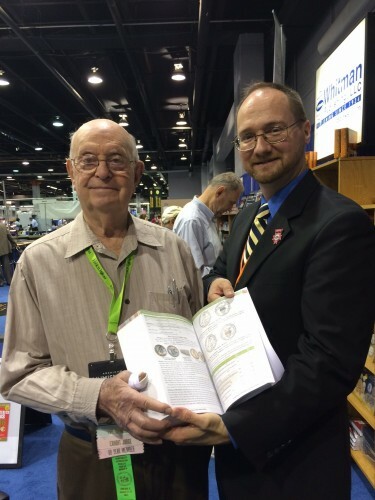 Back at the Whitman Publishing booth I had a nice chat with John K., an enthusiast of the 1982 “No P” dime, which is ranked among the 100 Greatest U.S. Modern Coins. John feels that a hole for the coin should be included in Whitman’s folders and albums for Roosevelt dimes. What do you think? 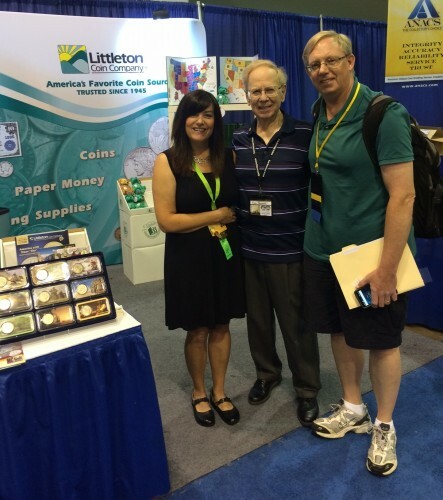 Littleton Coin Co. Public Relations Manager Jill Kimball, Red Book Senior Editor Kenneth Bressett, and E-Sylum Editor Wayne Homren at the Littleton booth. The Sundman Lecture Series luncheon — a relaxing, delicious, and entertaining break from the hubbub of the bourse. David Sundman, a sponsor of the Lecture Series named for his late father, the famous stamp and coin dealer Maynard Sundman. Dave is president of Littleton Coin Company, and also a Whitman author. He co-wrote 100 Greatest American Currency Notes with Q. David Bowers. I trotted around the bourse talking with collectors, dealers, researchers, and other great hobbyists. If you see me at an ANA show, feel free to say hi and strike up a conversation. 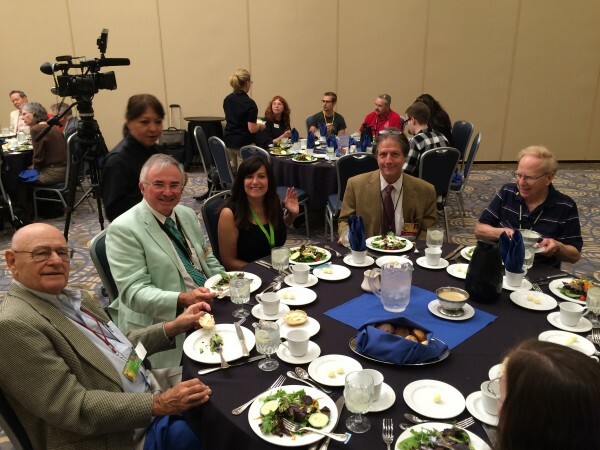 The Sundman Lecture Series is a popular event held annually at the World’s Fair of Money, and its sponsored luncheon is a nice meal that attracts friendly and interesting numismatists from all walks. If you didn’t make it this year, definitely put it on your calendar for 2016. You learn as much sitting down and breaking bread with fellow collectors for an hour as you do walking the bourse for a day. Come to the ANA for the coins and currency, stay for the camaraderie. There’s never a dull moment at the World’s Fair of Money! 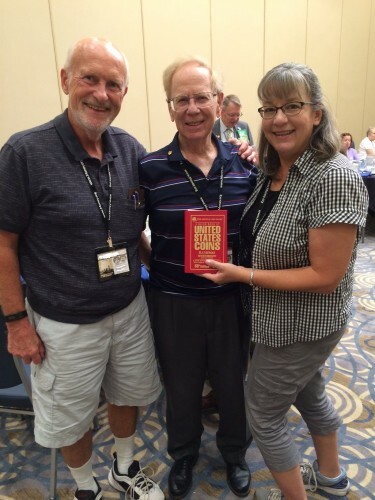 Red Book Senior Editor Ken Bressett is always happy to autograph your coin books! 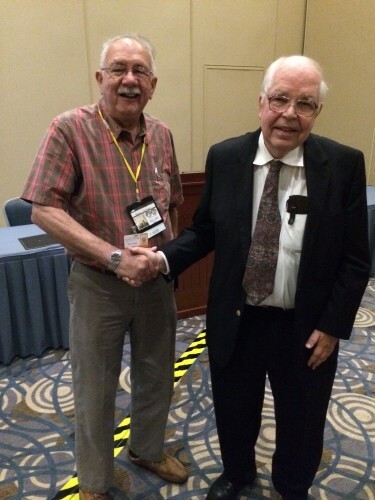 And on top of that he’s one of the nicest guys in numismatics. 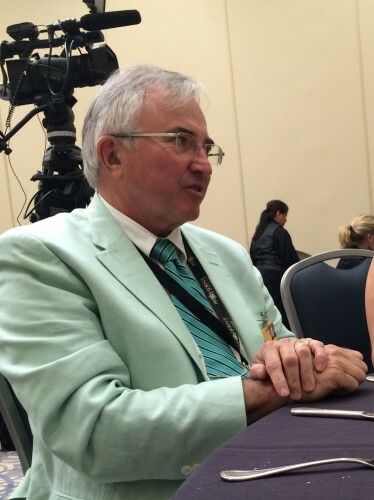 One of the best parts of my job as publisher at Whitman: keeping in touch with hobby legends like Neil Shafer. Here we are with the newly expanded U.S./Philippine coinage section of the Deluxe Edition Red Book. Neil “wrote the book” on Philippine coins — literally — with his classic United States Territorial Coinage for the Philippine Islands, published by Whitman in 1961 and still a standard reference today. 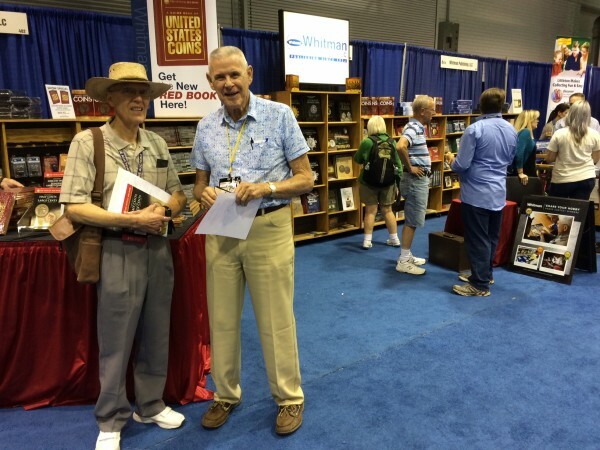 Another legendary cherrypicker: Bill Fivaz (right), coauthor of the Cherrypickers’ Guide, visited with journalist and book reviewer Mike Thorne of COINage Magazine at the Whitman booth.